The world today is a rat race and to keep up with the changing fast paced life, we often have to undergo lot of tension and tough situations which automatically take a toll on our health. The most obvious consequence of living stressfully is the rising levels of blood pressure. You may not even realise it in the beginning unless it soars to a huge level which makes you vulnerable to several health problems with cardiovascular issues like heart failure or stroke taking the centre stage. Increasing cases of death due to heart issues have been noted every year with most cases showing very high blood pressure and hypertension to be one of the primary reasons that causes heart failure. To avoid such hear related issues, you have to put your blood pressure levels at check. While there is medication for almost everything, I personally prefer going the natural way. 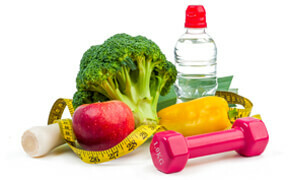 In fact, diet is a primary thing to stay healthy and there are natural foods to control blood pressure easily. In today’s post, I will be sharing the list of 16 such foods that’ll help you to control blood pressure. Apart from talking about the best foods to control blood pressure, you’ll also get to know about the most common symptoms and factors leading to blood pressure. If you are having blood pressure issues and wondering how to get it right, then here’s the post worth checking. Please note that all the above values are in mm Hg. They say “Health is wealth” and hence, one must not compromise with his/her health. Although there are several health issues that an individual may face in his/her lifetime, but blood pressure has off late become one of the major factors of concern. If you do a survey today, you will find almost every household having at least one individual who suffers from high pressure problem. So, time has come to take a note of that and since whatever you eat has a direct influence on your health, it is actually better to eat natural foods to control high pressure easily. I will be discussing about all such foods in details in this post and hope you benefit from it. 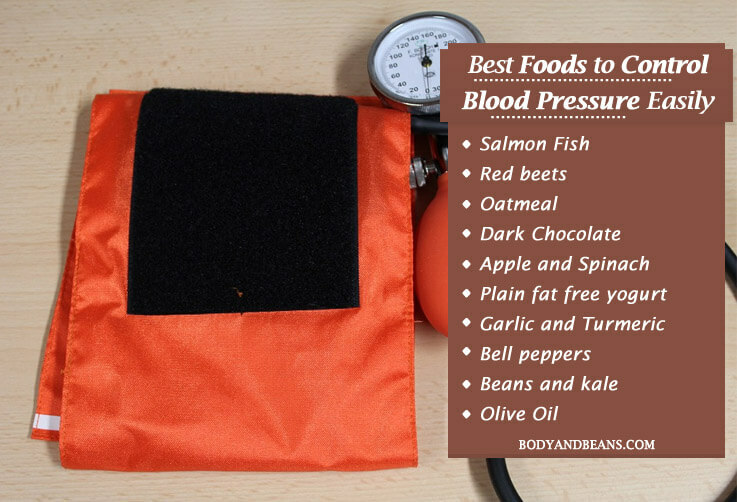 I will be sharing the list of best foods to control blood pressure, but before that, let me talk about the main factors that lead to significant rise in blood pressure levels. Knowing these factors will help you control the blood pressure much effectively. I will also share a list of common symptoms that will help you observe and know if your blood pressure level is normal or above normal. There is a reason behind everything and there are several factors that lead to high blood pressure levels in our body. It is mainly unawareness which puts us at greater risk, so it is important for you to know the causes in order to control your blood pressure. Now that you know the symptoms and factors that may leads to high blood pressure, let us begin the discussion on the top natural foods to control blood pressure easily. Whatever you eat is very important and you must eat right to keep your blood pressure levels at check. There are many foods that can help you to control your blood pressure levels easily, and so you may like to add these foods to your day to day diet chart. You must include the red beets in your diet to control blood pressure levels in your body. This is because they are rich in nitric oxide which is instrumental in opening your blood vessels and thereby lowering the blood pressure level in your system. Several studies have also shown that the nitrates that we get from the red beet juice consumption have reduced the blood pressure levels within a span of 24 hours in the research participants. There are various ways you can eat beet to get its maximum health benefits. You can make juice out of it or simply cook it and consume the whole root. It also tastes great when roasted or mixed with the stews and stir-fries. You may also consume them after baking them into chips. Irrespective of how you eat it, there is no doubt about red beets being one of the best foods to control blood pressure. Oatmeal is one of the top nutritious foods to control blood pressure easily, all thanks to the presence of high quantity of dietary fiber in oatmeal. This fiber boosts up your digestive system and the metabolic rate of your body that helps in health weight reduction and also prevents the risk of obesity which in turn is one of the vital factors behind high blood pressure. In addition, oatmeal is also very low in fat and sodium content which is further very beneficial for the high blood pressure patients. To get the maximum benefits in controlling high blood pressure, you may use the oatmeal as your breakfast food. Simply let the rolled oats soak overnight in a jar containing nut milk and you eat that the next morning. Adding granola berries or cinnamon to oatmeal can surprisingly increase the taste and make it even healthier. Well I know it brings a smile in the faces of many but yes, dark chocolate is definitely one of the top foods to control blood pressure easily. The flavonoids present in dark chocolate are the main reason behind the reduction in the levels of blood pressure in body. These flavonoids stimulate the endothelial function which is good for your system. Research has shown that dark chocolate consumption exerts a positive influence in the level of blood pressure. Some studies have also proved the dark chocolate consumption to have reduced the risk of cardiovascular damage. Dark chocolate contains more cocoa solids and less sugar and so you may eat it on its own or by mixing it with healthy yogurt or with berries. Apples are one of the most nutritious fruits and you can surely eat it to control your blood pressure. It is full of fiber that is instrumental in keeping your blood pressure in check. Moreover, apples also contain quercetin which as per modern research is antihypertensive which is very useful for the blood pressure patients. So, make sure you eat apples frequently and keep your blood pressure levels at check easily and naturally. The other fruit in the list of top natural foods to control blood pressure easily is mango. Mangoes are rich in fiber and beta-carotene both of which are excellent in reducing the blood pressure levels. In fact, in a study published in Hypertension Research showed that you must include foods containing beta- carotene to lower blood pressure. Summer has already hit many places. You may now eat mangoes on its own, or drink the juice or may make a unique homemade sorbet out of it. But make sure to not eat too much of mangoes as it has lots of calories and so may cause weight gain. Many believe that fatty foods are not good for your heart but a fatty fish like salmon is definitely an exception. This is because salmon is filled with healthy omega 3 fatty acids which has the ability to not just reduce your blood pressure but also reduce any kind of inflammation and improve your overall heart health. In fact, a study published in the “British Journal of Nutrition” showed positive reduction in the blood pressure levels with proper supplementation of omega 3 fatty acids in older patients and those with hypertension.So, make sure you include salmon in your food chart in adequate amounts in case you suffer from high blood pressure. The health benefits of spinach are many and you can eat spinach to keep your heart healthy check the blood pressure. It is loaded with beta carotene, fiber and Vitamin C, all of which is very effective against high blood pressure. Also, spinach is high in potassium which also helps to reduce blood pressure. It helps to get rid of the excess sodium content from the body in the form of urine. Therefore, spinach is a great option for all the high blood pressure patients especially for those who are vegetarians. Yogurts are definitely one of the top natural foods to control blood pressure easily owing to the presence of high amounts of calcium in it. One cup of plain fat free yogurt supplies around 49% of calcium which is very useful for reducing high blood pressure. In fact, a study published in the “American Heart Association” showed that women who consumed around five or more yogurt servings weekly had a significant 20% decrease in the blood pressure levels. Yogurt also is probiotic in nature that is very good for general wellbeing. It is also rich in magnesium and potassium which are clinically approved to be good in reducing high blood pressure. Garlic has a huge history of medicinal benefits and now you can use it to control blood pressure levels easily. Several studies have shown that aged garlic extracts work like medicines in reducing the blood pressure levels in hypertensive patients. It also prevents the oxidative DNA damage in individuals suffering from hypertension as proved from the recent scientific researches. Garlic is an overall heart healthy food as not only does it reduces the blood pressure levels, it is also instrumental in reducing the bad cholesterol levels LDL from body which may cause threat to your heart. Turmeric is a popular Indian spice that not just adds taste to your food but it is also good to keep your blood pressure levels in check. The main active compound in it is curcumin which is highly beneficial for our wellbeing. It reduces the blood pressure as well improves the flow of blood in body. A study has shown that with consumption of around 500 milligrams of turmeric three times daily, there has been a significant decrease in the blood pressure levels along with hematuria and proteinuria in patients having nephritis (which leads to inflammation in the kidneys). The colourful bell peppers are not just pretty to look at but they supply us with various health benefits with reduction in the high blood pressure being a significant one. This is mainly due to the presence of Vitamin C that lowers high blood pressure and improves the overall cardiac functioning. An article posted in “The American Journal of Clinical Nutrition” showed evidences that how the supplementation of Vitamin C can lead to significant reduction in blood pressure levels although further long term trials are needed to fully confirm to it. Eggs are the favourite of many but it was once recommended to be avoided because of its high cholesterol content but now research has shown that it is healthy for your heart and it has a positive influence on the cholesterol levels in body. In fact, not just cholesterol, the nutrients in egg also helps you lower your blood pressure levels as well. Studies have also proved that eating high protein diet, like one full of eggs, lowers your blood pressure and takes care of your overall health. You may eat eggs in any way you want to. But make sure that you do not overdo it. Also, remember not to add the wrong condiments like the sugar-packed ketchup or highly salted sauces which will reduce the health benefits of egg in lowering high blood pressure. Onions are one of the natural foods to control high pressure easily and so you may mix them in any meal you want to. This is because onions are filled with quercetin which has already been proved by modern research to have great blood pressure lowering effects in hypertensive patients. However, onions do have a very pungent smell (especially the raw onion) which affects many and so if you are also affected by its smell, then you may sauté it with healthy olive oil that will make it more heart healthy. You may not find much interest in eating beans in a frequent basis but sometimes you need to change your food choices to remain fit and healthy. No matter who likes or dislikes beans, the health benefits of it can never be ignored especially its ability to lower high blood pressure level. Beans are the powerhouse of nutrients with calcium, potassium and magnesium being significant ones, and if you look at modern research results you will find all these nutrients to posses blood pressure lowering effects. In fact, just one cup of white beans contains30% magnesium, 13% calcium and 24% potassium which is highly beneficial for your wellbeing. Just like leafy spinach, kale is a nutrient packed food that must be included in your diet chart if you suffer from high blood pressure. The main reason behind it is the unique nutrient profile it has. It is packed with high amounts of potassium and magnesium which you already know to be highly potent in reducing blood pressure levels. In fact, not just these two nutrients, kale has high dose of Vitamin C as well which reports have also shown to be highly beneficial for the blood pressure patients. Olive oil is probably the healthiest oil you get in the market as it is the least processed form of olive oil. You must use this extra virgin olive oil especially if you are a high blood pressure patient. Olive oil is rich in healthy monounsaturated fats and phenolic antioxidants that are highly beneficial for your heart. In fact, several studies including one published in “The New England Journal of Medicine” have already proved its consumption to reduce cardiovascular issues by almost 30%. A study was also performed with 23 participants having high blood pressure and it showed that olive oil reduced the blood pressure levels by 48% when compared with sunflower oil. In fact, 8 of them also no longer had to continue with the blood pressure medicines. So, you must also use olive oil while cooking to keep your blood pressure in control. The cases of blood pressure have become very common nowadays and we must be cautious enough to keep the blood pressure levels in normal range. Too high blood pressure may take severe toll on your health and damage the main organs like the heart and the kidneys. In fact, high blood pressure is one of the vital factors behind heart attack and stroke death cases. So, if you are one among the many who are suffering from high blood pressure, you must be cautious enough and try to keep the blood pressure level in normal range. While eating medicines seems to be an easy option for most of us, but we should not forget, that what we eat has a direct influence on our health. So, try to get rid of the unhealthy food stuffs and include blood pressure friendly foods in your diet to manage your blood pressure levels easily and naturally. We have already discussed about 16 such foods that can help you control and manage normal blood pressure range. However, simply eating healthy foods won’t do. You have to make certain behavioural changes as well that will help you in the process. In my post, I have also talked about common factors that may lead to severe rise in blood pressure and if you observe the causes very carefully, you will find that most of the times it occurs due to bad lifestyle habits. So, it is my request that you get rid of the excessive smoking and alcohol consumption if you want to stay fit and healthy. Also, please do daily exercises and reduce your extra pounds immediately. And, if you are over stressed all the time, please take the help of meditation and other relaxation techniques to calm yourself down. Moreover, before taking any medications for other health problems, please do consult a doctor and tell him that you have high blood pressure so that he may recommend you medicines with lesser side effects. Always remember that prevention is better than cure and so you must take measures to protect yourself from very beginning. Are you suffering from high blood pressure? Have you tried including any of these blood pressure friendly foods in your diet? What do you eat to manage and control your blood pressure? Feel free to share your tips and ideas by commenting below. In the meantime, stay safe, stay healthy.